I am barely squeezing this post in today, but my day has been incredibly full of wonderful crafting with my daughter. She is going to be in a necklace show this Friday, so we needed to get the rest of her necklaces done. You can see what she has created on her BLOG. Tonight I am sharing with you two works in progress for this installment: a custom order brush bag & baby booties! My friend Neal over at San Luis Art Supply has requested a custom bag and am very happy to make this one. 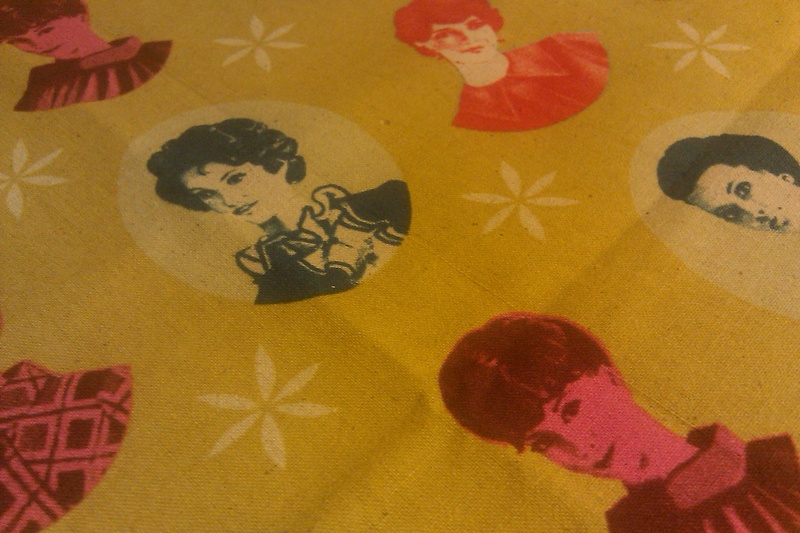 It’s in one of my favorite fabrics – Vintage Ladies by melody Miller for Kokka. I’ve used this fabric in my multi-purpose bags and love that I have such a large product to create so the fabric is being showcased amazingly. 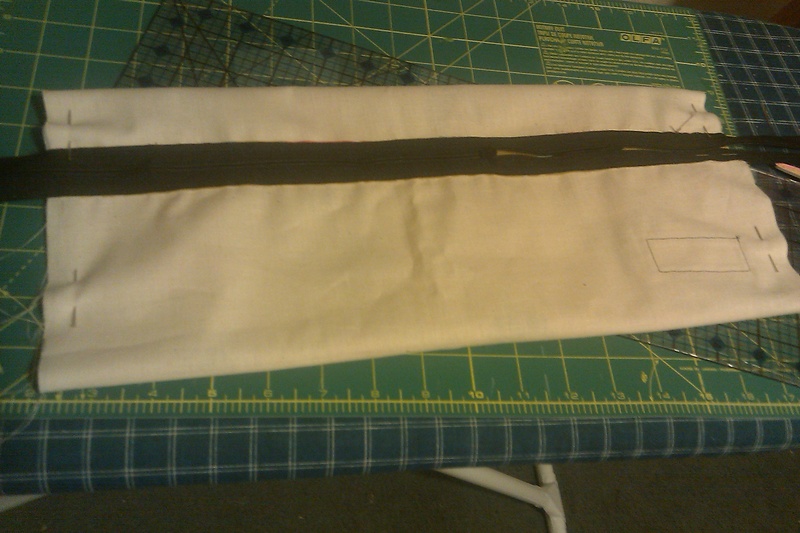 So far I have the zipper sewn in and am about ready to stitch up the sides while adding the strap and finish it off, but I have got to move on to my next project, which you’ll see in just a sec. Tomorrow I will stitch it up in the morning so Neal can get this custom creation he has so patiently been waiting for. On to my next quick project and actual first use of a pattern – baby booties! 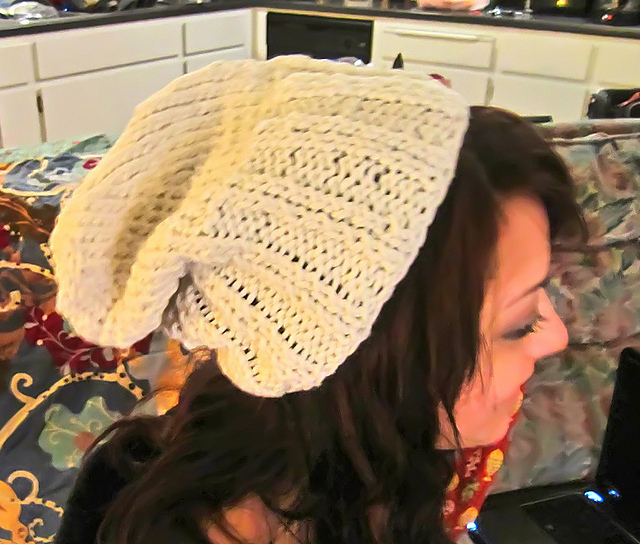 I have been wanting to make these for some time now as well as make something from a pattern, so I combined the two and I am actually quite impressed. 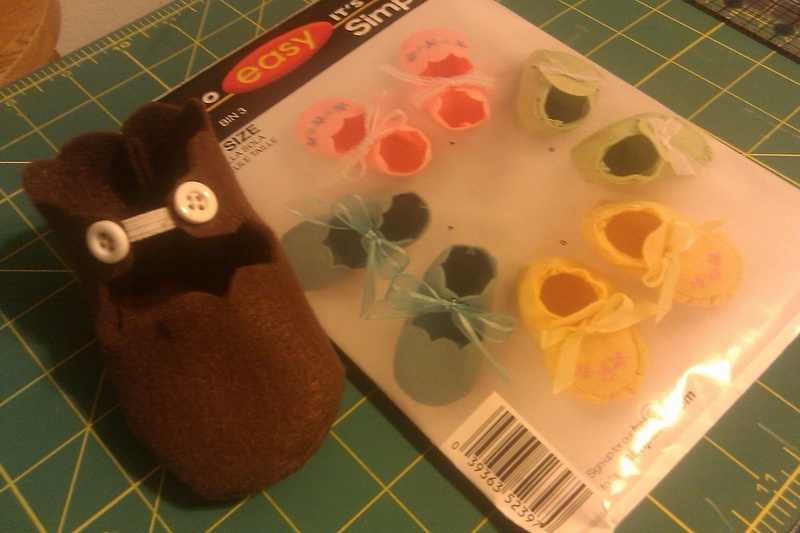 I currently only had enough felt for one bootie cause I am hoarding the other felt for my coffee cup sleeves. But the other will be finished by the end of the week. Check out my bootie… isn’t it cute?!?! I cannot wait to finish the other. I don’t know what to do with them so maybe a giveaway?!?! Check back Friday for an installment of ‘Finished Product Friday’ to see these two creations completed.